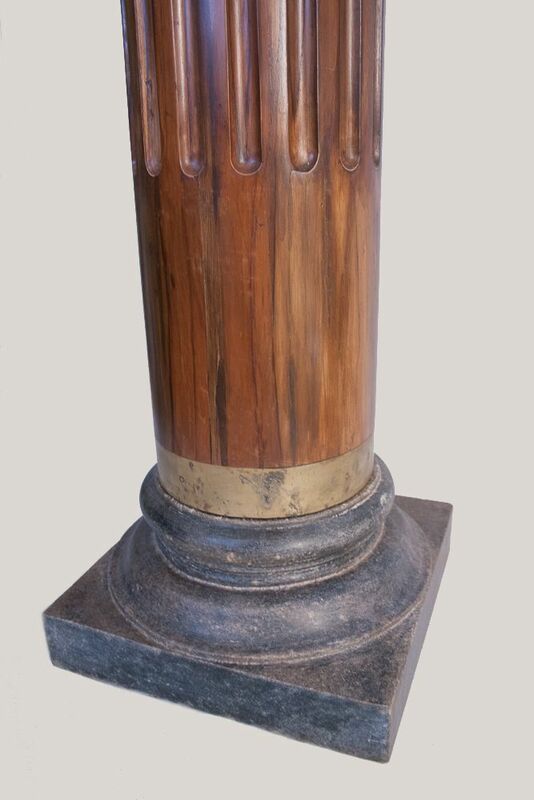 Artifacts to delight and excite home and garden. 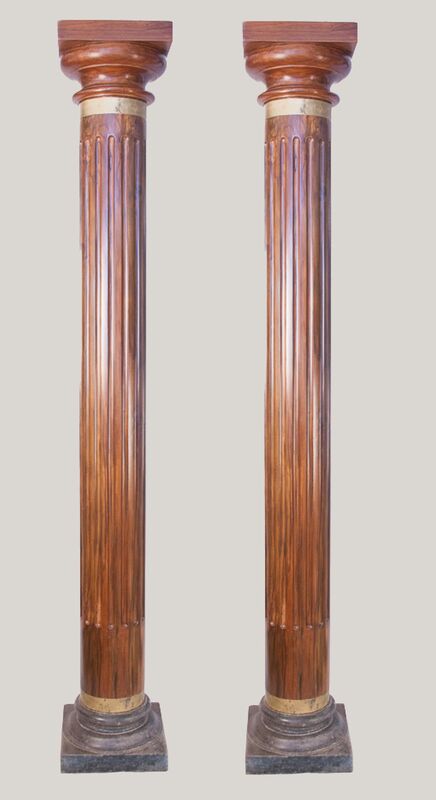 Handsome pair of round, reeded Anglo-Indian columns in richly finished teak, circa 1920. 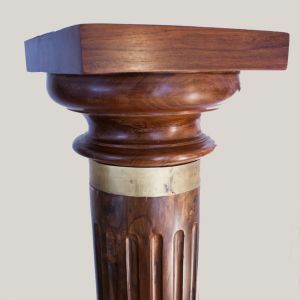 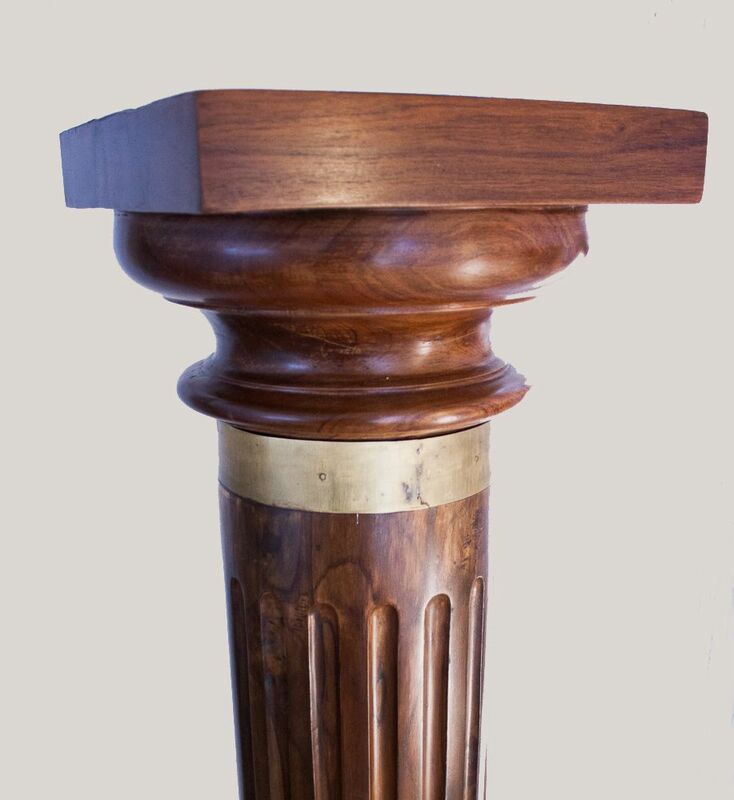 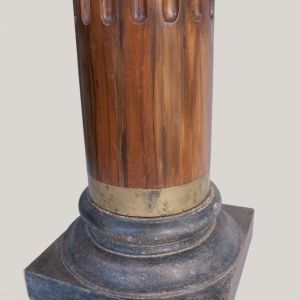 Featuring hand gadrooned shafts with original brass collars, the pillars rest on square granite bases and are capped with classic Doric capitals. The columns are in very good condition for their age.